Standing in the cockpit, gazing forward at the pale green sea that surrounded us, I tried to distinguish the difference between the 10-foot pale green and 5-foot pale green. The former was fine. The latter meant we would be aground. 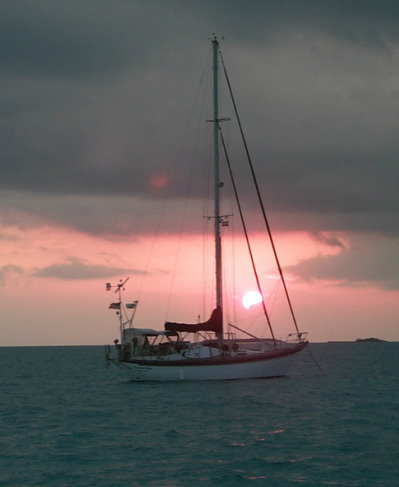 Cherokee Rose at anchor at sunset in the Bahamas. Photos courtesy of s/y Acclaim.